VIDEO: Become an Associate Teacher and Welcome a Teacher Candidate in your classroom! Welcome to our two-year Bachelor of Education Program at the University of Ottawa. The Practicum experience is made up of two components: community service learning and over 100 days of evaluated practicum. Community service learning will consist of one day a week (Wednesdays) in schools from September 19 to November 28, 2018. Evaluated Practicum will consist of a three-week block from December 3 to 21, 2018, followed by one day a week (Wednesdays) from January to March, 2019 and a six-week block from March 18 to April 25, 2019. Evaluated Practicum will consist of an one-week block from September 4 to 7, 2018 followed by one day a week (Wednesdays) in September to November, a five-week block from November 26 to December 21, 2018 and a three-week block from January 7 to 25, 2019. Voluntary community service learning will consist of one-day a week (Wednesdays) from January 30 to April 3, 2019. A mandatory three-week CSL placement in a school or community setting will be completed from April 8 to 26, 2019. Teacher candidates must present this document before September 1, 2018 prior to beginning their studies in Education. Teacher candidates are required to have a new police record check for each year of the program. Welcome to our two-year Bachelor of Education Program at the University of Ottawa. Thank you for supporting our teacher candidates in the past and we look forward to our continued collaboration. Your commitment, expertise, and understanding are essential in mentoring our future teachers. 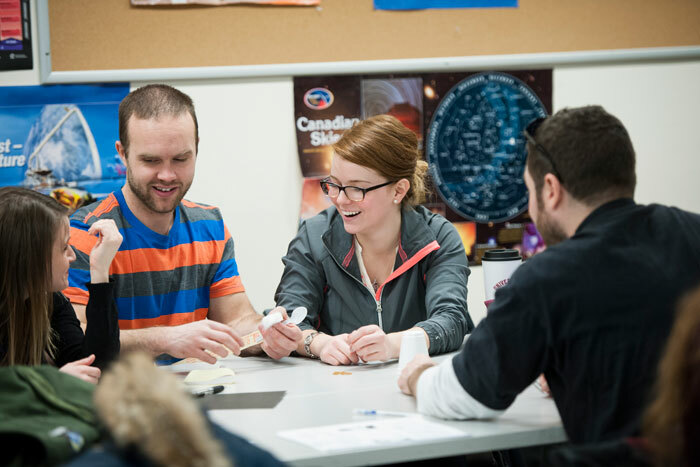 Our program provides the opportunity for teacher candidates to engage in a dynamic and interactive inquiry within a variety of communities, one of which is the school community. It is within these various communities that our teacher candidates are exposed to ideas of learning and teaching, engage in discussion about these ideas, and are provided with experiences to develop their professional knowledge and practice. Our practicum experiences reflect a clear and consistent link between theory and practice and consist of two parts, Community Service Learning and Evaluated Practicum. We see practicum as a developmental and collaborative process between the teacher candidate, the Associate Teacher, the Faculty Supervisor and the host school administration. A Guide describing the practicum experience will be provided to each Associate teacher, Lead Associate teacher and school Principal. An example of the type of school-based collaboration is demonstrated in this story from Adrienne Clarkson Elementary School, OCDSB. We would like to thank all of you who have registered for the 2018-2019 academic year. The Practicum experience is made up of two components: community service learning and evaluated practicum. The purpose of community service learning is to provide Year 1 teacher candidates with opportunities to become familiar with school communities, to participate in and contribute to the wide range of educational experiences in schools, and to learn and gain insights regarding school culture and the professional community. In Year 2 all teacher candidates complete a three-week (15 day) school or community based placement. These placements are arranged by the teacher candidate in collaboration with their PED 3151 professor and the Practicum Office at the Faculty. The goal of the three-week community service placement is to provide teacher candidates experiences in alternate educational and community settings. The expectations and structure of the placement are dependent on the collaboration between the teacher candidate, the faculty representative, and the school or community partner. In the CSL placement, the site placement supervisor and the PED 3151 professor supervise the teacher candidate. Associate schools are school communities who are interested in working in partnership with the Faculty to support the growth of teacher candidates. Teacher candidates are assigned to Associate schools as part of a professional learning community so that they may learn from experienced Associate Teachers and the school community over the school year. Each teacher candidate will be placed in a host school and classroom beginning as soon as possible in September. We encourage schools to host teacher candidates from a specific cohort. Associate Teachers have the necessary teaching experience and the interpersonal and communication skills to mentor teacher candidates over a period of time and to evaluate their progress towards becoming teachers. Teacher candidates will be matched with Associate Teachers to reflect both division and subject areas of expertise. Associate Teachers are invited to host two teacher candidates during the practicum experience and/or teacher candidates may have more than one Associate Teacher within a school or high school department. These practices are to promote a collaborative planning and teaching model. Associate teachers will be paid a lump sum of $320.00 (subject to statutory deductions at source) per teacher candidate for practicum. There is no compensation for hosting a teacher candidate in CSL. Have at least two years teaching experience and be in good standing with the Ontario College of Teachers. Be willing to act as a mentor supporting the development of a teacher candidate. Be open to a co-planning, co-teaching approach to model effective teaching strategies. Be able to work within a collaborative community of inquiry including the teacher candidate and Faculty representative. Be aware of individual differences in teaching styles, personality and values. Have a love of teaching and a generosity of spirit to give back to the profession and to help make a difference in the development of the next generation of becoming teachers. Lead Associate teachers volunteer their time in each Associate School to welcome teacher candidates into the school community, to facilitate the community service learning experience within the school, and to support communication between the Faculty and the school.